Welcome to Rising Star Shilohs. Located in the northwest corner of the smallest state of the union, N.Scituate, Rhode Island, we make our home in a rural area on 5 acres of woodlands shared by deer and other wildlife. We acquired our first shiloh, Star, in 2000 and couldn’t wait to get our second, Kiora, in 2001. We have decided to keep lemon girl from our fabulous Samson/Kiora litter that arrived December 2004; keep watching for more pictures and stories of Rising Star’s Armand’s Joy aka Joy. Our shilohs have proved to be everything they say they are and more! They are my constant companions and fill my life with joy, laughter and loyalty. Our shilohs are home raised as part of the family. 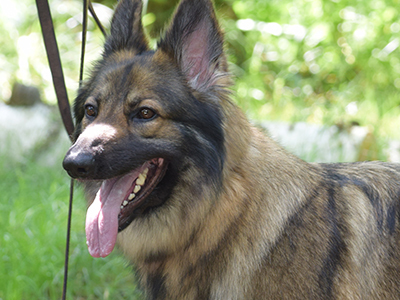 Rising Star Shilohs is devoted to breeding for health, intelligence, sound temperaments & great size. 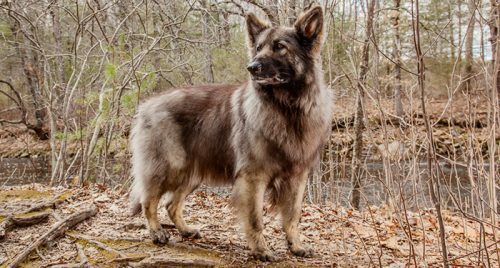 Our Shilohs are registered with the International Shiloh Shepherd Registry (ISSR). Thank you for visiting us, come on in and look around. Take your time and follow the links provided to learn more about these amazing companions. Dance with your Heart & Listen to the music of your soul!